Further north, on a hilly Lake Pleasant course, the dynamic duo of Kay Martin and Lyle Langlois both received first place age group awards in the Amica 19.7 Triathlon Series Phoenix. 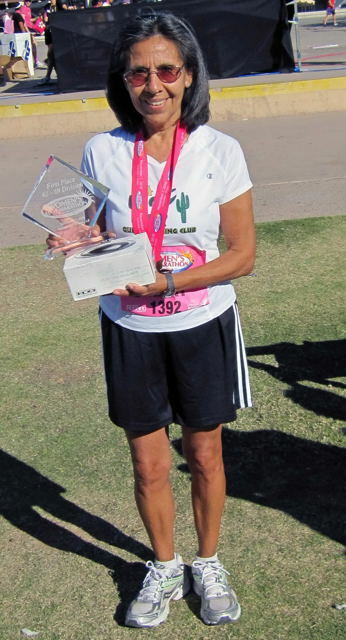 Finally, at Wesley Bolin Plaza, Patty Beckman and David Daer competed in the 35th Annual Phoenix 10K. I might mention that Patty finished 8th overall among many hundreds of runners.